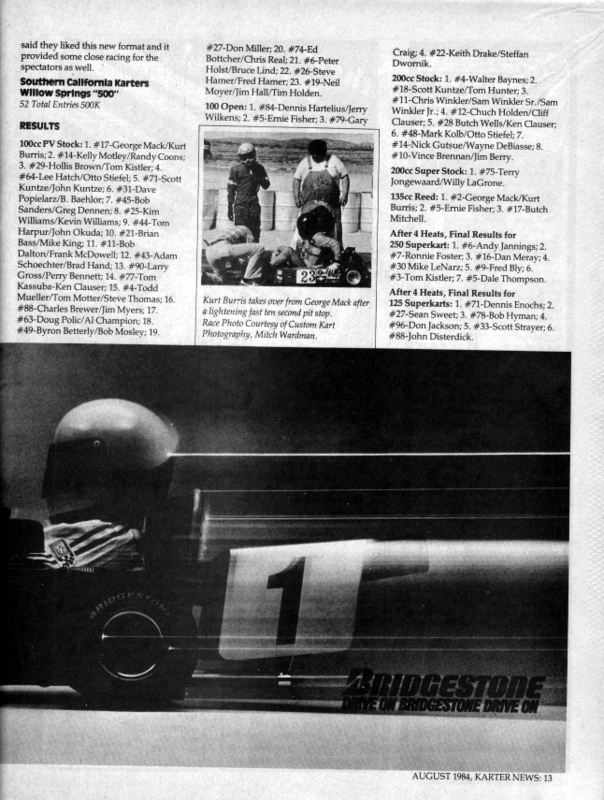 A 500 kilometer race put on by the Southern California Karters at Willow Springs. A real endurance contest! 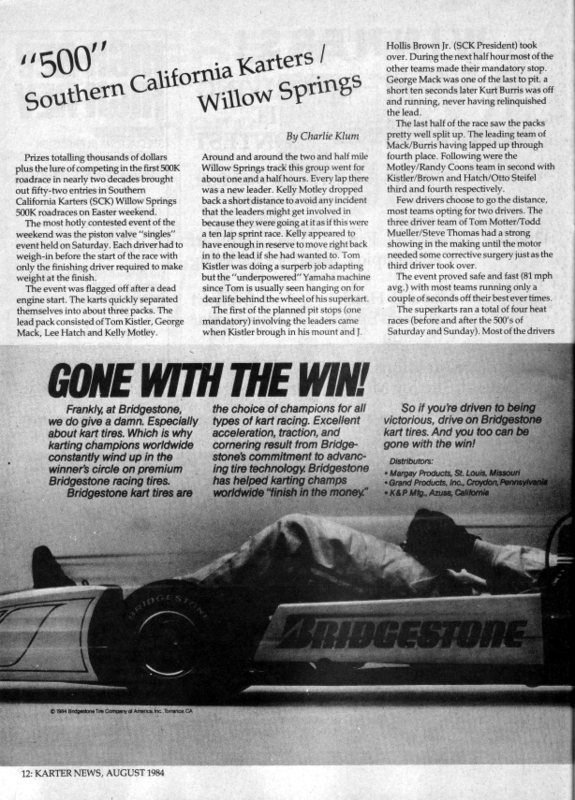 From the August 1984 issue of Karter News.